The Centre for Social and Cultural Data Science, in partnership with the Max Bell School of Public Policy and the Business Development Bank of Canada is proud to present the Policy and Data Science (PODS) Summer Program! This innovative program selects motivated McGill undergraduate students with non technical backgrounds to learn invaluable data science techniques and apply them to important policy theory and questions. May 8th from 9:30am-1:00pm in Thomson House Ballroom (3rd floor). This event brings together researchers from the social, cultural, and computational sciences for a half-day, multi-disciplinary collaborative event. We welcome all students, researchers, and professionals who are interested in social and cultural data science. Lunch is provided. The use of advanced quantitative and computational methods to investigate research questions emerging from the humanities, arts, and social sciences presents many opportunities. Computational methods allow researchers to use data and models to investigate social and cultural phenomena in novel ways and at previously impractical scales. Such efforts, in turn, stimulate methodological innovations and novel applications of existing methods. 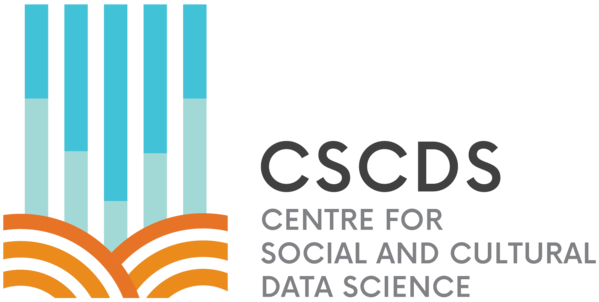 The McGill Centre for Social and Cultural Data Science (CSCDS or “cascades” for short) is a multi-disciplinary community of scholars with a shared interest in developing advanced quantitative and computational methods, and applying them to research in the humanities and social sciences. We can achieve these aims best collaboratively, working as a single, cohesive community. As a result, our community consists of both researchers in the social and cultural sciences who seek to apply new techniques in their inquiries and those from quantitative disciplines with interests in discovering new applications, motivations, and contexts for their work. Fostering methodological innovation in quantitative and computational analytics, and their application to research in the social sciences and humanities. Providing training to increase interdisciplinary work and the collaboration between scholars in computer science, quantitative analysis, social sciences, and humanities. Increasing methodological familiarity with quantitative and computational methods among social science and humanities researchers. Critically reflecting on the ethical dilemmas and social ramifications of advanced analytic and computational methods. We’re always looking for opportunities and new ways to serve our mission. If you’re interested in joining the Centre or have ideas for future Centre activities, please get in touch by cscds [at] mcgill.ca (email). How can we improve Montreal? On October 25th, the Centre celebrated its official launch!